ECO GREEN HOME is an exceptional green house cleaning service and maid housekeeping in New Jersey. We specialize in non-toxic home cleaning services using green products that are safe and do not generate harsh fumes. Our cleaning services are thorough, consistent and customized. We will take care of any special need that you may have. Every time, our professional cleaners dusts, vacuum, scrub and sanitize each room. No detail is overlooked. We take home cleaning to a new level. Upon request, we include a lavender potpourri sachet or leave mints on your bed pillow after we change your sheets. We believe cleaning is more than just clean spaces. It is also clean air and making your home more inviting and welcoming. Our team members are carefully screened to ensure that they are truly dedicated to providing a job well done. They are also trained to ensure efficiency and to make sure they understand and follow our green lifestyle philosophy. We understand that your home is your most valuable asset and we treat it as if it was our own. We are also bonded and insured so if something should happen you are fully protected. 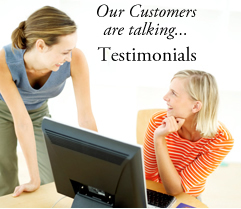 We are committed to excellent service and customer satisfaction is of our utmost importance. We utilize best business practices and will gladly re-do any work you are not satisfied with. Our staff is closely supervised to deliver superior and professional service. We follow up after the cleanings to get your feedback.